Disney’s direct-to-consumer sports service ESPN+ has passed the one million paying subscribers mark in the five and a half months since its launch in April 2018. Walt Disney Company’s Direct-to-Consumer and International (DTCI) division announced the milestone figure, claiming it to be a testament to the teams from DTCI and ESPN who worked to bring the service to market. “We’re thrilled so many sports fans have quickly come to love the service. The future is bright and we believe growth will continue as we add features, distribution partners and more exclusive content in the coming months,” said Kevin Mayer, chairman, Direct-to-Consumer and International, The Walt Disney Company. ESPN president and co-chair of Disney Media Networks, Jimmy Pitaro, added: “Combining sports, technology and the ESPN brand is a very powerful combination, and we are just getting started. 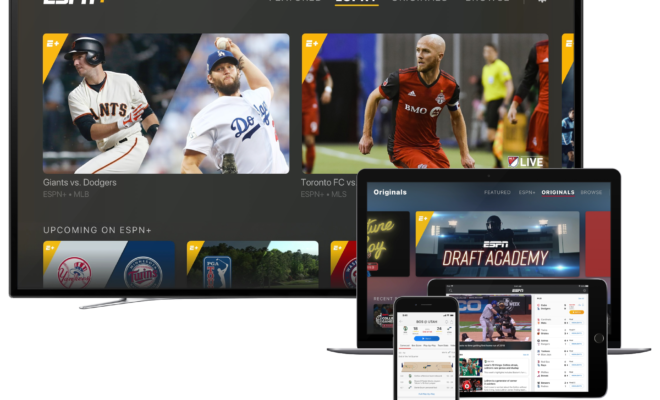 Disney launched ESPN+ in the US on April 12, priced at US$4.99 per-month. The subscription streaming service was integrated into a redesigned version of the ESPN App and is also available online at ESPN.com. ESPN+ is powered by BAMTech and includes live sports, original content and a library of on-demand programming. Its sports line-up includes MLB baseball, NHL ice hockey, MLS soccer, a wide range of college sports, PGA Tour golf, Grand Slam tennis, boxing and international rugby and cricket.